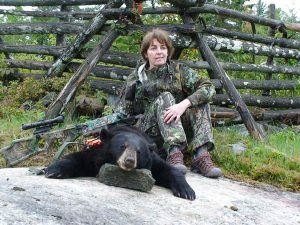 Spring Bear Hunt is offered during the month of June. 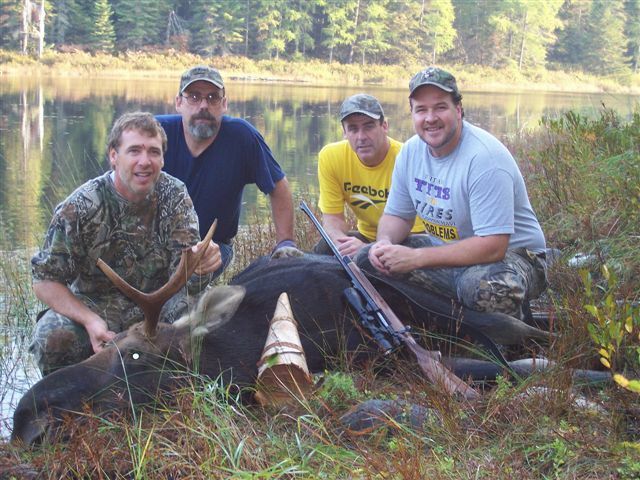 Hunting territory is 85,000 acres. Accommodation is at the Main Lodge Camps only. Fishing Included. 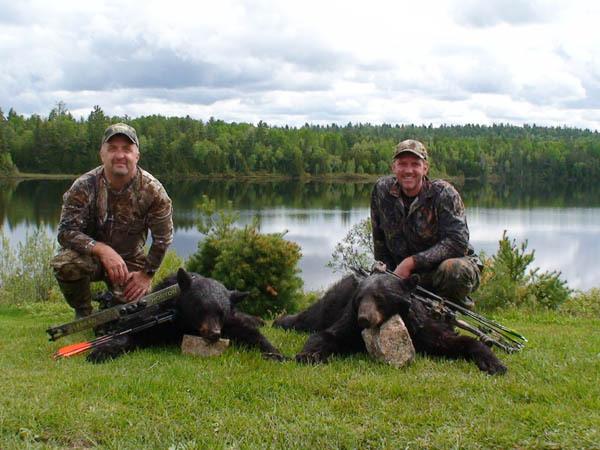 All Hunting and Fishing Licences are now available at Ten Mile Lodge. We have set up baiting stations over a 50 km stretch of road. 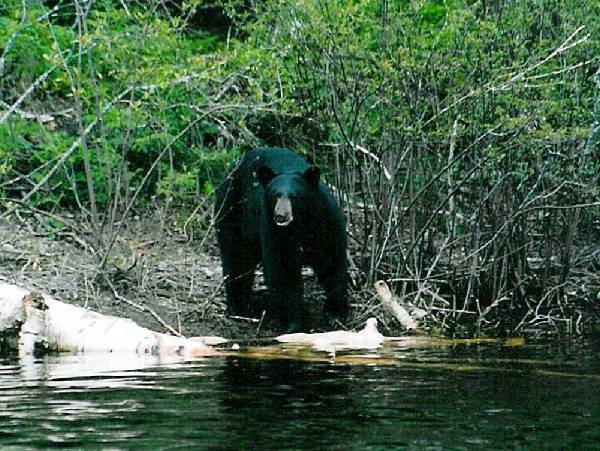 All bait stations have 45 gallon drums of food which contain sweets as well as meat. 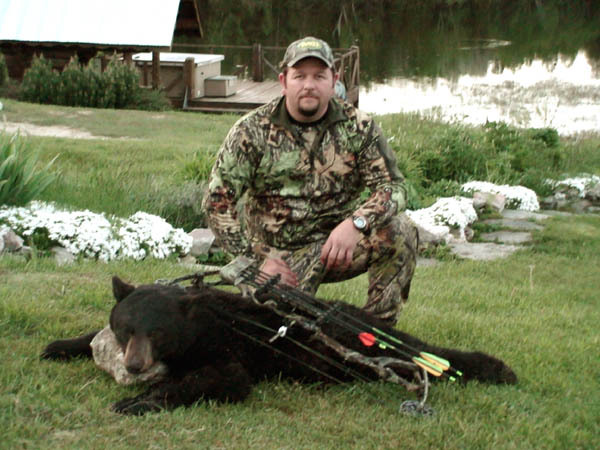 Tree stands are set up at a distance of 15 – 20 yards from the drums at all stations. 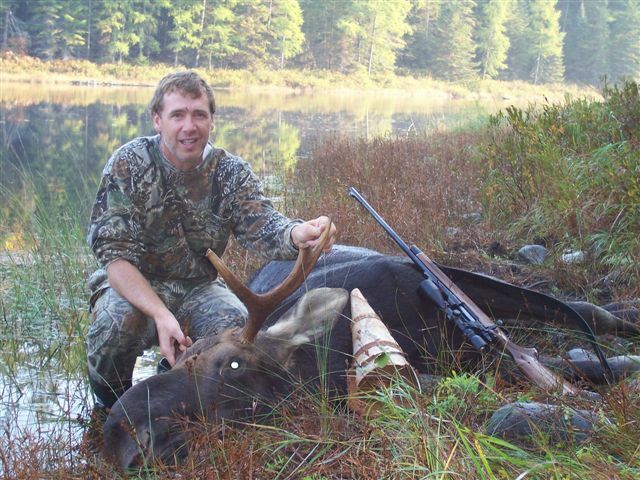 Moose Hunt is offered September and October, during rut season. 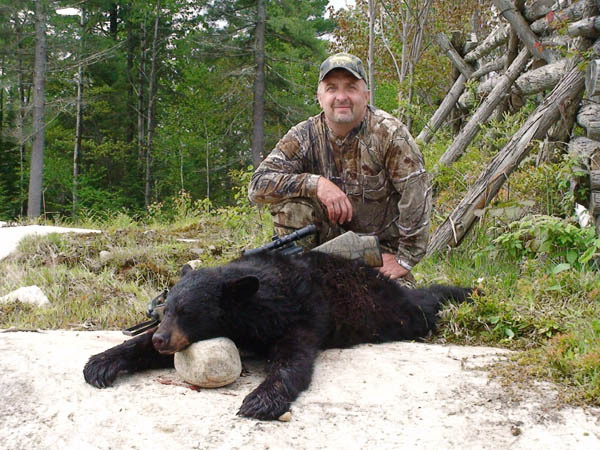 Each hunting territory is 40,000 to 50,000 square acres. 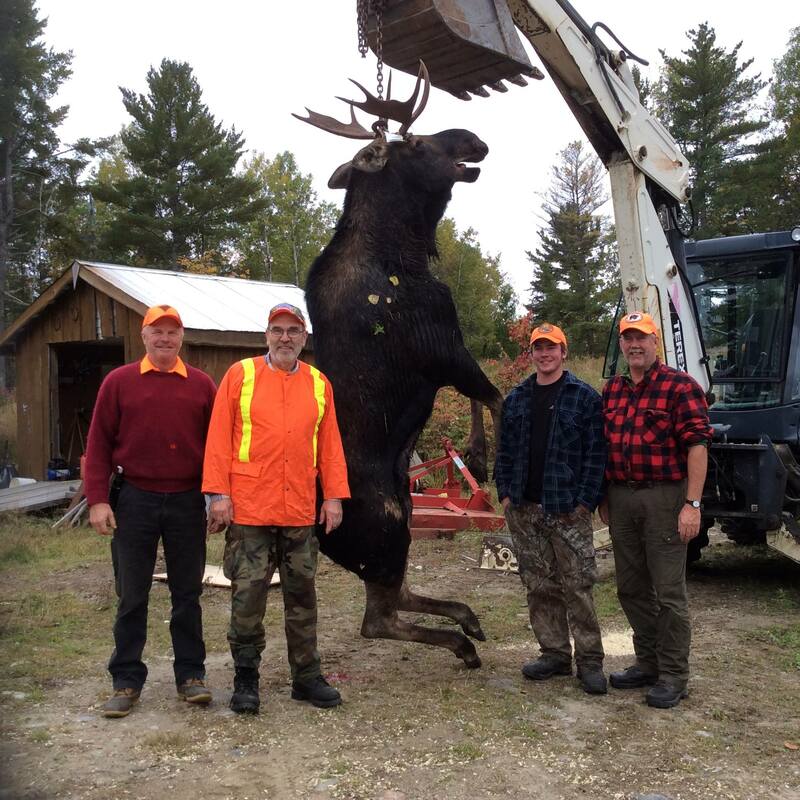 Accommodations is at the Main Lodge Camps only. In Quebec, the cows are protected. We can only harvest bulls and calves. 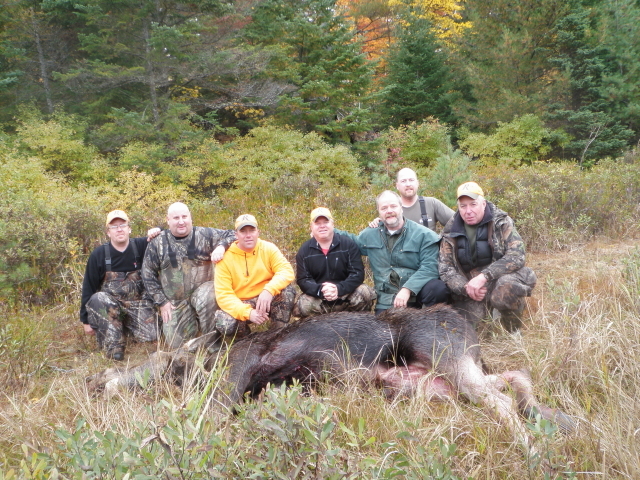 Each territory rental gives the group the right to harvest a maximum of 2 moose. 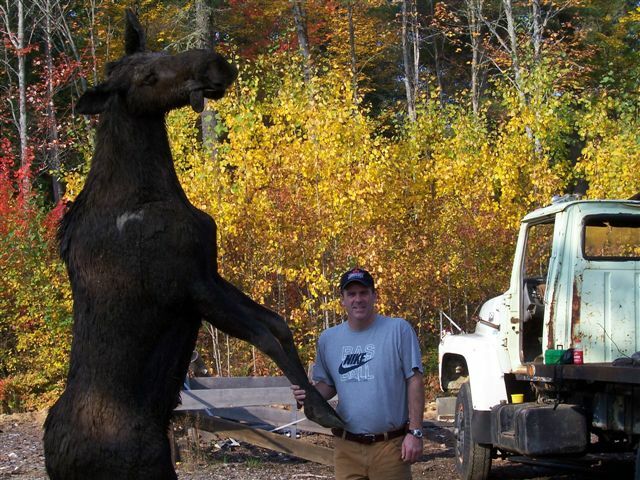 Once a hunter shoots a moose he must apply his tag immediately on the moose when he gets to it. 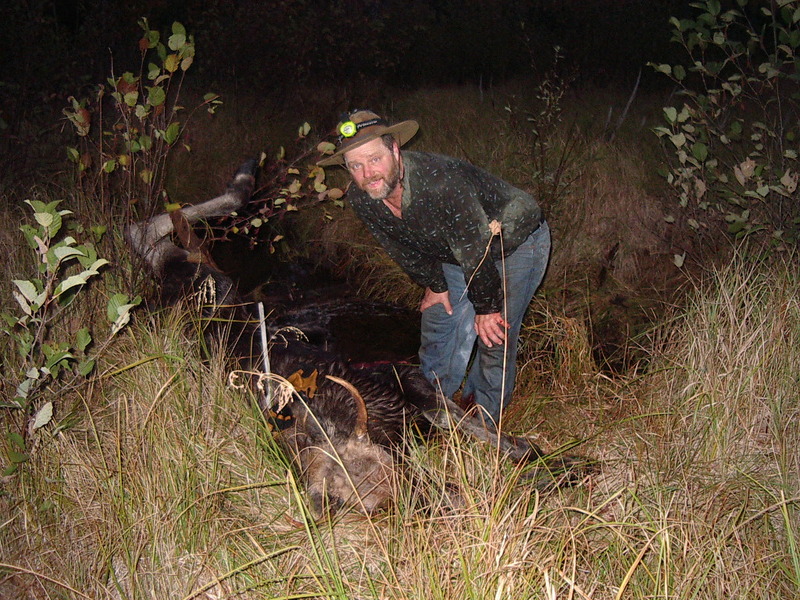 The group has until dark to put a second tag on the same moose. We have a walk-in refrigerator to keep the animal from spoiling. 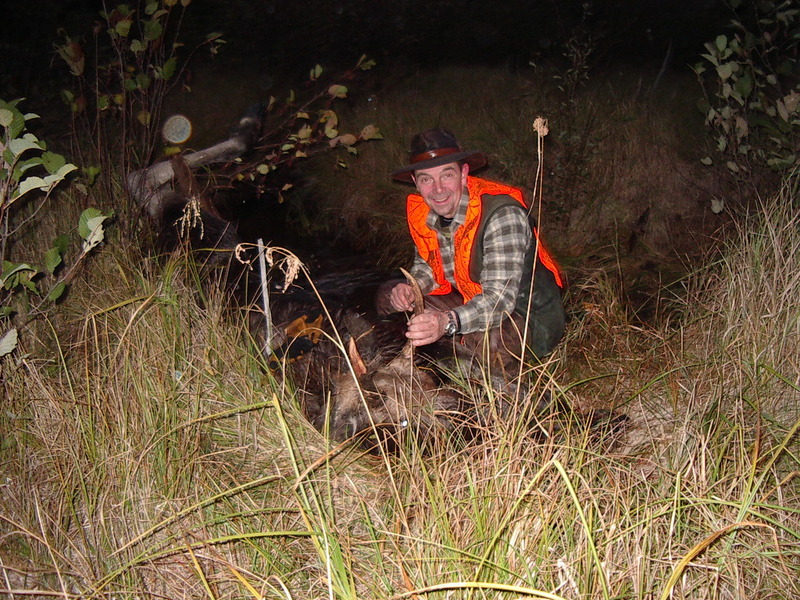 Small Game Hunting is offered during the month of October. 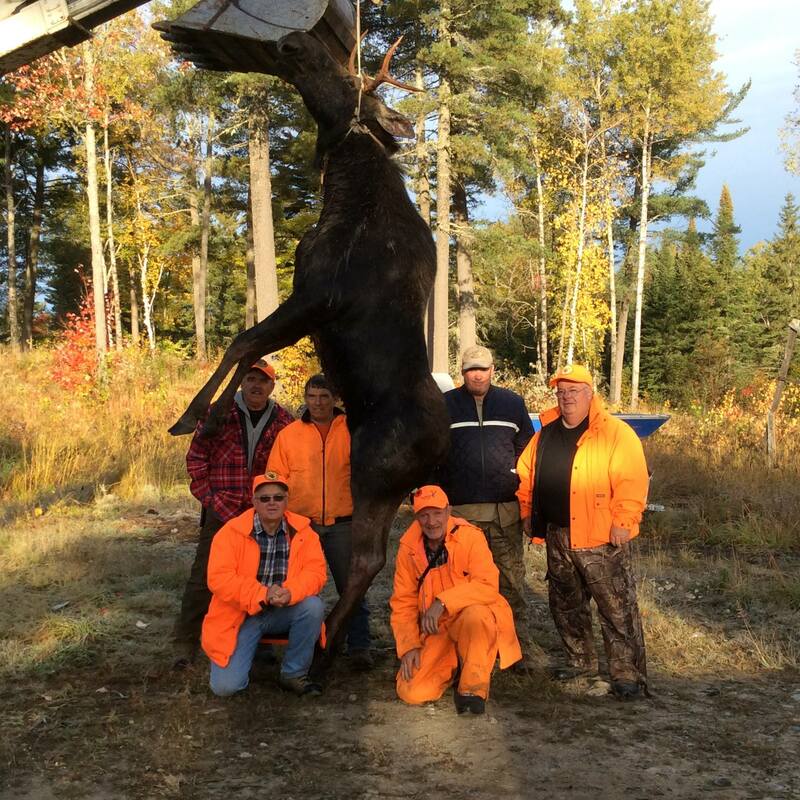 Accommodations are at the Main Lodge Camps only.